Washington D.C (TADIAS) – The Ethiopian Civil Aviation Authority said on Wednesday that a Russian helicopter, under a UN mission operation, has crashed on the outskirts of Eastern Addis Ababa, resulting in several injuries including the two pilots and four passengers on board. 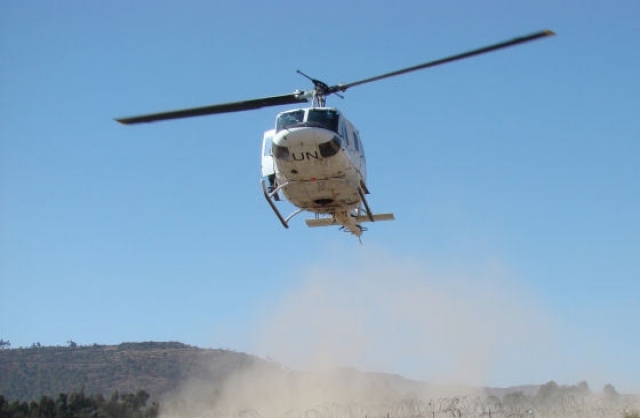 According to state media, the chopper crashed while preparing to fly to Juba, South Sudan, on a UN mission. No causality were reported. News reports say the Ethiopian Air Force, based in Debre Zeit, was involved in the rescue efforts. However, the citizenship of those on board has not been disclosed. The aviation authority said a special investigation committee has been established to launch an inquiry into the cause of the accident.